Vebe Consistometer is used to determine the consistency of fresh concrete by subjecting the concrete specimen to vibration after removal of the slump cone.The assembly is mounted upon a small vibrating table operating at a fixed amplitude and frequency. 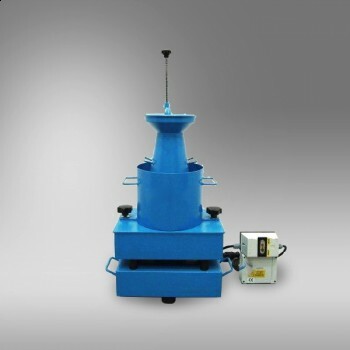 The time to complete the required vibration gives an indication of the concrete consistency. EN 12350-3 Testing fresh concrete. Vebe test.